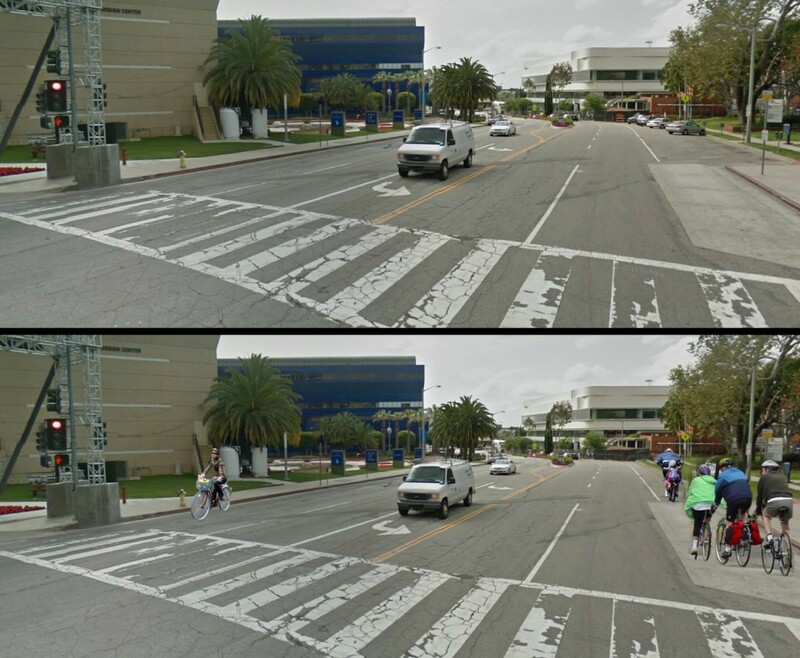 Last night the WeHo City Council nearly stopped the impending bike lanes on San Vicente. Fortunately, Abbe Land, John Heilman, and John Duran recognized the importance of getting this work done. San Vicente is a crucial connector, and making it safe for cyclists is a winning proposition. 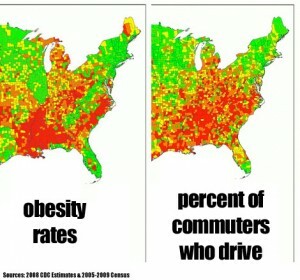 Research shows that cyclists are willing to add 20 minutes to a trip if it means taking bike lanes, and each mile of new bike lanes is associated with a 1% increase in share of bike-to-work trips. In Columbus, OH, bike lanes reduced crashes 34%, and 73% of residents said it improved the street. The Master Plan approved back in 2004 for the new WEHO Park/Library across from the Pacific Design Center called for the removal of auto parking spaces along San Vicente Blvd. between Santa Monica and Melrose. Because so much time had passed since that approval, city staff wanted to reaffirm details of the plan and submitted it as a consent item. Councilman Prang pulled the item because he had been hearing concerns about the lack of parking in the area (even with the new parking lots! ), and Councilman D’Amico said income would be lost from not having metered parking along San Vicente. Yet at the last Council meeting, the Council had unanimously passed (as a consent item) the group of five or so bicycle improvements which we all wanted, including the dedicated bike lanes on San Vicente. That’s when Councilwoman Land chimed in to remind her fellow members that they had just approved the bike lane on the east side of San Vicente (which could only be put in if there were no parking spaces). City staff said that the west side of the street could accommodate a bike lane as well as parking spaces once reconstruction of the area was finished. Land then adroitly moved the motion, with Heilman and Duran voting yes. Prang and D’Amico were opposed. Thank goodness for the 3 votes! The two public commenters — Public Safety Commissioner Marci Norton and community advocate Jeanne Dobrin — both wanted the parking to remain because the new parking lots for the library/council chambers don’t seem to be enough. There appear to be issues with the hours of the library parking lot which will be further explored. San Vicente isn’t just important to West Hollywood residents. The Westside Council of Governments recently identified it as a crucial gap in local bikeways that urgently needs to be filled in. Closing the bike gaps? Yes please! Your input needed NOW. 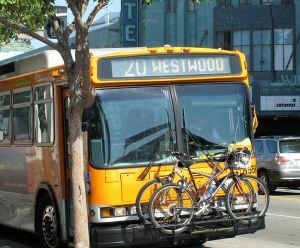 That’s precisely what the Westside Council of Governments (WCOG) is proposing for Beverly Hills, Culver City, Santa Monica, West Hollywood, the City of Los Angeles and the County of Los Angeles. But they can’t do it without your help. Time is short — the deadline for public comment is March 4. Contact them at Bikeinput.wsccog@gmail.com, and tell them that we need these bike route upgrades ASAP. 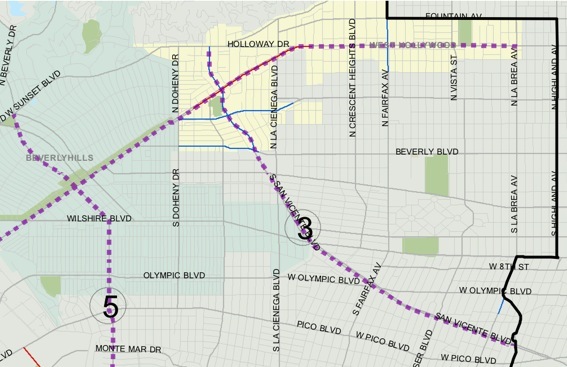 Particularly crucial are fixes for San Vicente and Santa Monica, which could become ideal North/South and East/West routes. They just need a little work: physical separation from traffic, wayfinding signs, bike boxes and secure racks for parking. Then once you’ve contacted WCOG, tell all of your friends to do the same. Together, we can make the west side an even more delightful place to get around.